Description: Plaid Stencil Decor Stencil Cutter makes it easy to turn designs into stencils. Easy-to-use curved tip is great for small intricate designs while the straight tip is great for broad or straight cuts. Simply trace along design lines; tool burns through stencil with ease. Does things scissors can't; small circles, fine lines and intricate patterns. Quick-heating with an easy grip. Includes a wire resting stand, and 2 interchangeable tips. 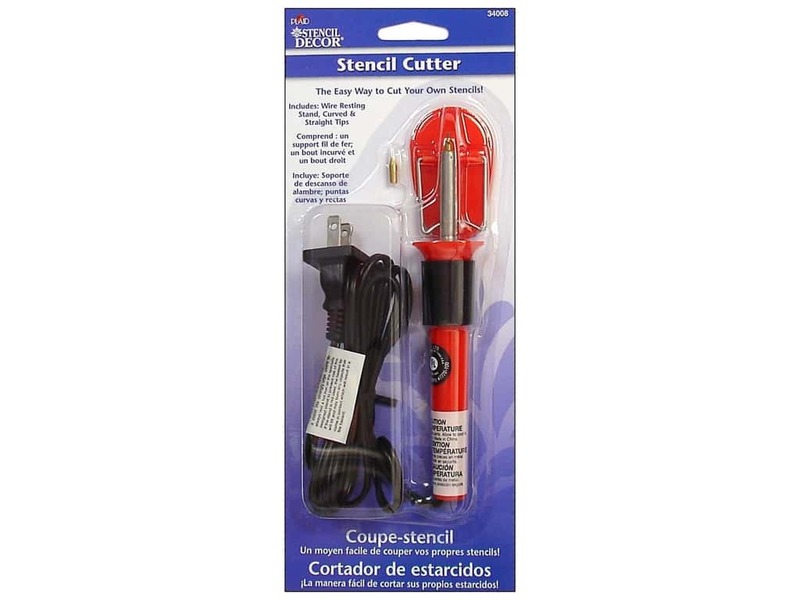 Plaid Stencil Decor Stencil Cutter Tool -- CreateForLess 4.50 out of 5 based on 2 ratings. 2 user reviews.